Facebook is a social networking site. So what make it social? We can share status, photos and videos using it. In the same way, we can get updates from other people also. All these posts can be seen under one roof i.e in news feed. Now imagine if you had liked thousands of pages and have hundreds of friends and joined groups than how is it possible to get updates from all these sources. This is what happening to me. I have around 500+ friends, 1500+ liked pages and 50+ joined groups. Due to this, I was unable to see updates from some of close friends. Although Facebook system is smart enough to read our mind as it can filter posts based on our interest but then too it lack somewhere. 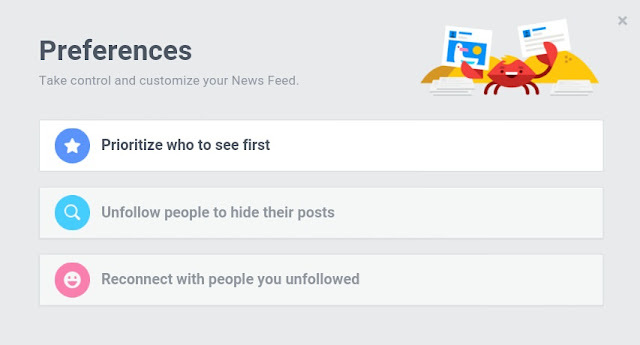 To overcome this problem, your account is provided with custom feed settings using which you can control and manage the flow of posts in news feed. 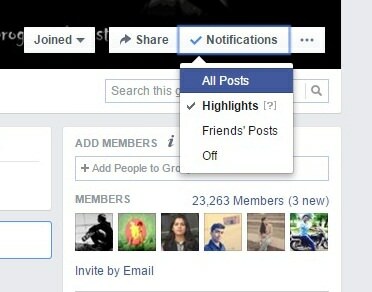 According to my research, the first priority in news feed is given to friend posts then to pages and at last to groups. Sometimes group posts may disappear from your news feed. This may happen when you're inactive in groups from a long period of time or else if you've ignored those group posts earlier. Same thing is applicable for pages also. In my case, I had liked 1500+ pages and it's obvious that Facebook can't display all their posts in my news feed. So how does it manage this situation. Before I will answer this, let me ask you one question. What will you choose between fresh and old food ? No doubt, you'll choose fresh one. Facebook also do the same thing. It pick new and fresh content first and then display it in user news feed. Apart from fresh content, popular and trending content is also loved by Facebook. Same way, If a page is more active and provide more fresh, popular and trending content, it is more likely to be displayed first. Apart from these factors, your engagement with page activities, other user engagement ( indirectly likes and comments ), your interaction with page in past etc., also contribute to this. So this is all you need to know on how Facebook news feed system works. Hope you have no doubts. If you are not satisfied with these default settings, you can set them manually as per your choice. Below I had listed 3 ways for you. Now let me give you better dive in this topic. Okay! starting from basic customization, you can switch between "Top Stories" and "Most Recent". Most Recent will fetch latest updates, no matter from which source it comes while Top Stories will display popular and trending content. If you wish to change this setting, go to homepage and click the drop-down arrow next to "New Feed" option available at the left sidebar menu ( see below picture ). Now select any option as you want and refresh the page. For more advanced customization, keep reading this article. Recommended: All mentioned methods are applicable on desktop version only. So if you're an android user then first read an article on How to access Facebook desktop site on Android. 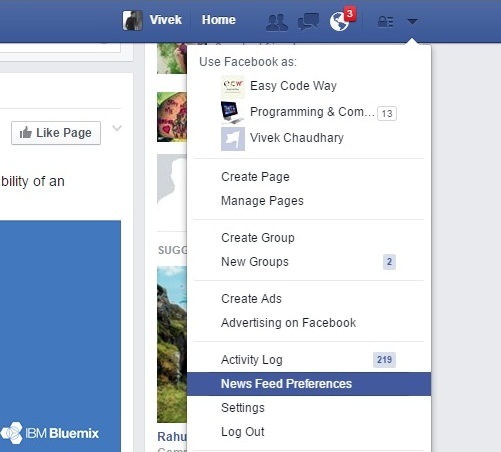 Now find and click on "News Feed Preferences". As the name itself speak, "see first" means to give first priority to something. Here it refers to the posts of your friends and pages. Just click the option and select up to 30 choices you want to see at the top of your news feed and finally save this setting by clicking on "Done" button. Next time whenever you'll visit your account home page, these selected friend and page posts will be displayed first and then others. You can change this priority any time. Simply untick old people and select new one. To clear one doubt in this topic, Imagine if you had selected all 30 people, then which one will be displayed first? Well It's not in your hand. As much as I know, Facebook will randomly arrange all these 30 sources. What do you think? Here comes another amazing option using which you can hide posts from any people just by unfollowing them. Wait! Wait! Wait! This doesn't mean that you'll not be their friends or fan. 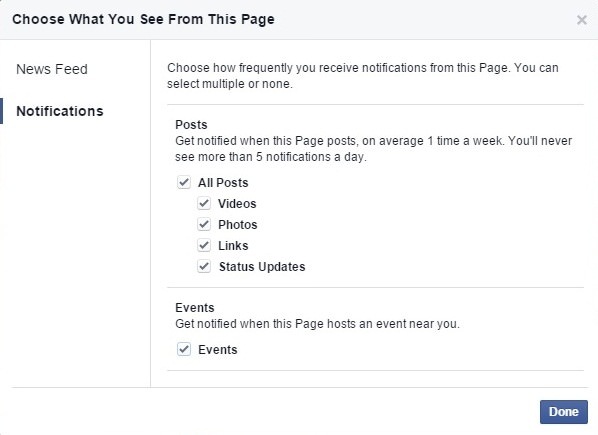 It will simply disable your direct access which means that you can still check their activities from their wall but this will prevent Facebook to display their posts in your news feed. So simple? Um. By default, all people are followed by you from the day you joined them. If you want to unfollow someone, simple add that person in this list and save changes. In future, if you want to reconnect with people you unfollowed in past then this feature can be reduced your task by 80%. You don't need to manually unfollow them by going to their profile. 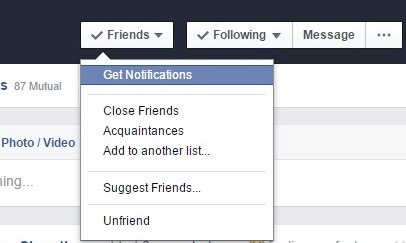 Simple select this option and Facebook will automatically display all people you had unfollowed. Tick mark all of them and click done button. After this, you will again start following them within seconds. So how was it? How it would be to get a new room booked for same category people. I am not talking about hotels booking. 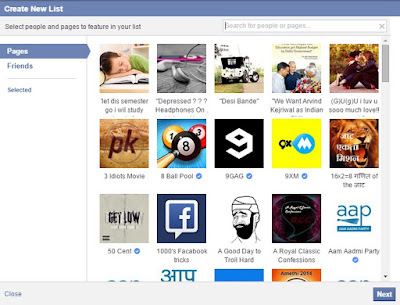 Imagine, If you want to filter your friends, family members and most loved pages then how is it possible? Very Simple! 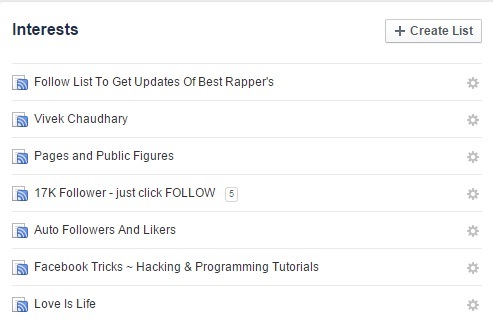 Facebook lists can do this task for you. Apart from this, it can be a way for you to keep watch on your friends/kids activity anonymously. I had already posted an article on this. So better read it first. Now choose any person or page you want to add. 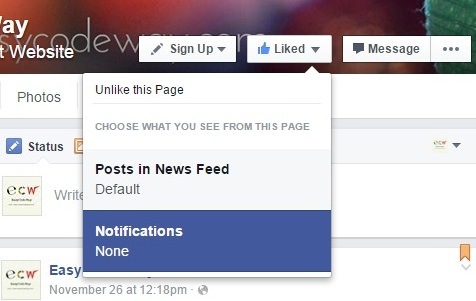 Click next button and name your list as “News Feed” or any name you want and choose its visibility. By default, it is public. Public lists are available to everyone and anyone can follow them while Private lists are hidden from outside world. Finally click done button and you had successfully created it. It would take few hours for Facebook to fetch latest data, after which you can visit your list link to see new activities. 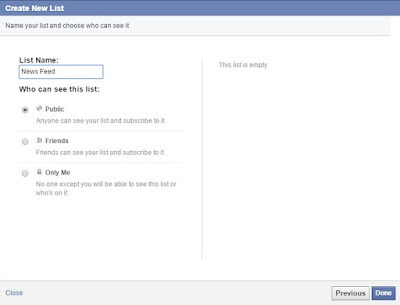 Note: Adding a friend or page to your list wouldn't notify them that you've added their account. Open profile by searching name in search tab. A small drop-down menu will appear. Select "Get Notifications" option. Go to page wall and hover to "Liked" Button. Now click "Notifications" and a pop-up box will appear. Select any option as you want and that's it. Go to the group and click "Notifications". From drop-down menu, select any option as you want. Post is already too long now. Wrapping up this, I can proudly say that Facebook is best in customization. You can change anything as you wish. All these things are under you control. All you need is proper guide which I had already covered in this topic. So how was it? 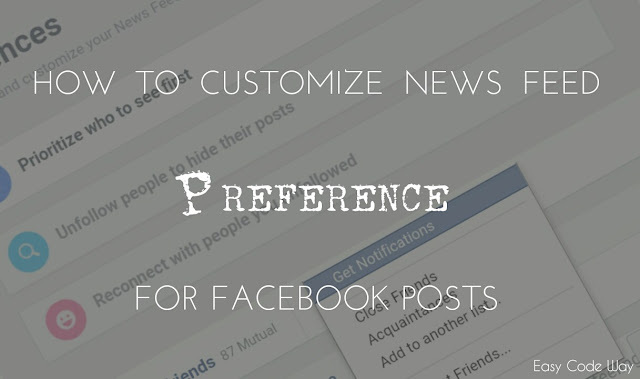 Which method suits you best for your custom news feed preference? Finally If you have any questions or doubt regarding this, please let me know in below comment box. Love and blessings!